Today at Children's, may have been the craziest day yet! First, I pull up a fish in the morning, and Sam has me take the hook out, that was a interesting experience... 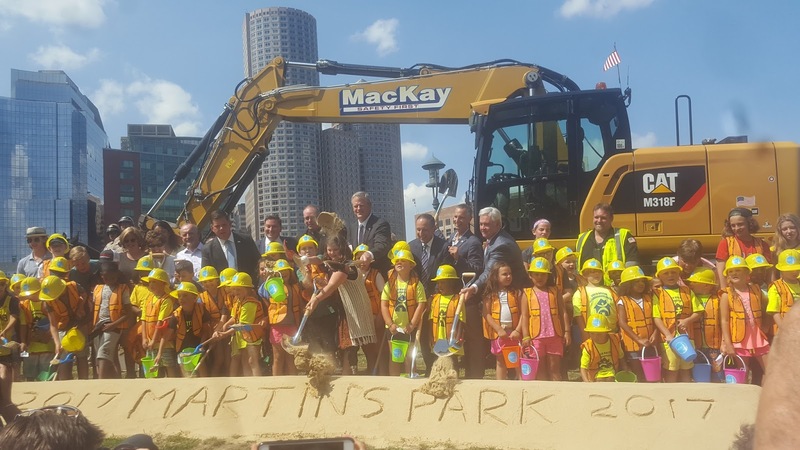 But then we are told that instead of lunch, at 1, we would be attending a ceremony for a new park dedicated to a child who lost his life at the 2013 marathon bombing, Martin Richard. This park was an idea created by Martin's family. They wanted to be able to use his memory in order to carry on what he was like, by creating a place where everyone could have fun and play. The amount of care about Martin, and supporters, really made me want to go back in time and walk the five or ten minutes it would have taken to walk over from my house and meet this kid. We also heard from his sister who lost her leg during the events, and missed being able to play because she wasn't used to her new one. All of these stories really makes you think about the hardships these families had to face in order to make it this far. 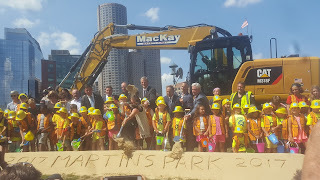 Probably my favorite part of the whole thing, was the kids who had come to watch getting to come up and break the ground. It was a very wonderful thing that we are able to witness. 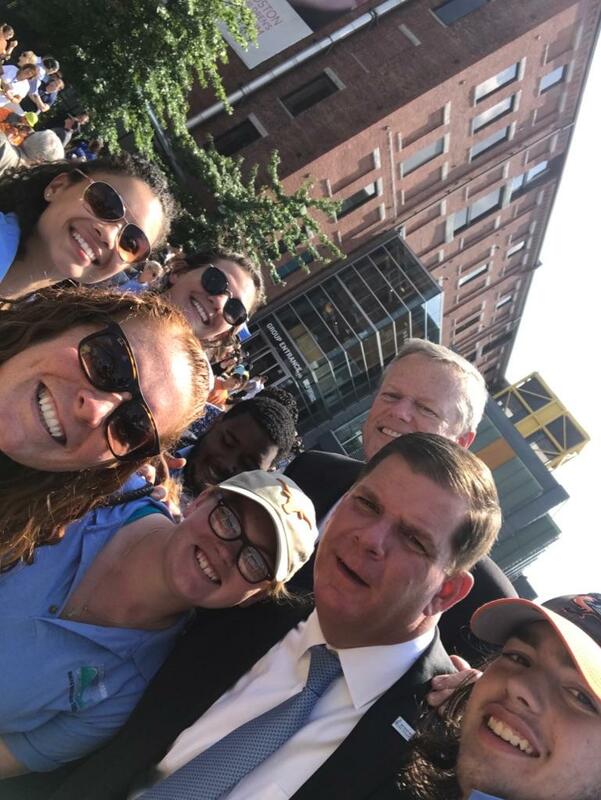 But there was also one thing that surprised me, when we took a selfie with Mayor Walsh, Bridget told me to do it! That was probably the last thing I would expect of her! 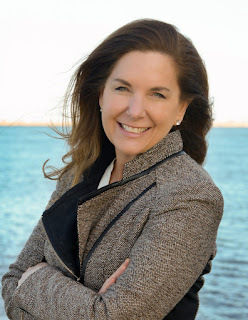 Bridget, the person who we all love and fear, was too nervous to talk to the mayor! But, never the less, I took it upon myself to complete the mission that she gave me. The best part is, the mayor made the governor get in the picture too! I'm so happy I get to have a photo not only with the mayor and my team, but with the governor too! This was definitely a highlight of my summer. I'll see yall on the docks!